Have you ever participated in a clinical trial? How much did you know going into it? 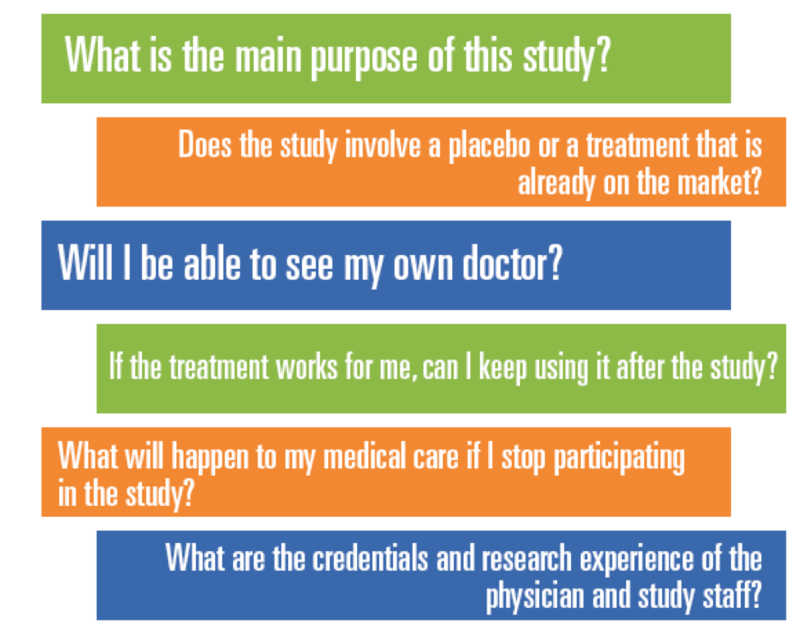 Our partners over at the Center for Information and Study on Clinical Research Participation (CISCRP) came up with a whole list of questions that will help you decide if a clinical trial is right for you before you commit. Here are a few of them below, but you can check out the full list and a printable version here. Got any questions you’d add to this list? Head over to the forum and share them with the community!